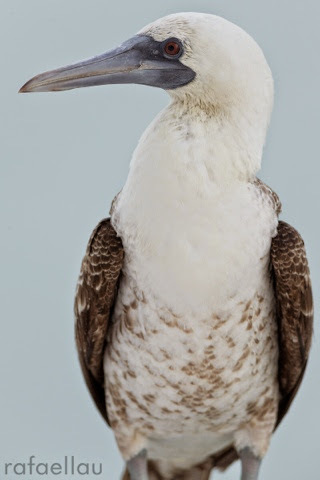 Since I missed my opportunity to look at the peruvian booby on Saturday with Rosabel's group, I started asking around how I can get access to that building, for my fortune a close friend of mine is the owner of an apartment at Venetian Tower where the Peruvian Booby was reported in Punta Pacifica, I kindly asked Mrs. Sandra, who is renting the apartment, if she has saw a white bird near her balcony, for my big surprise she told me that the booby was actually sleeping in her balcony since june 22, 10:40 a.m. (I got the date information from her mobile with the very first photo she took of the unusual bird). She said that the booby looked very sick when he arrived and she was feeding the bird with water and bread for the first weeks until he got better. 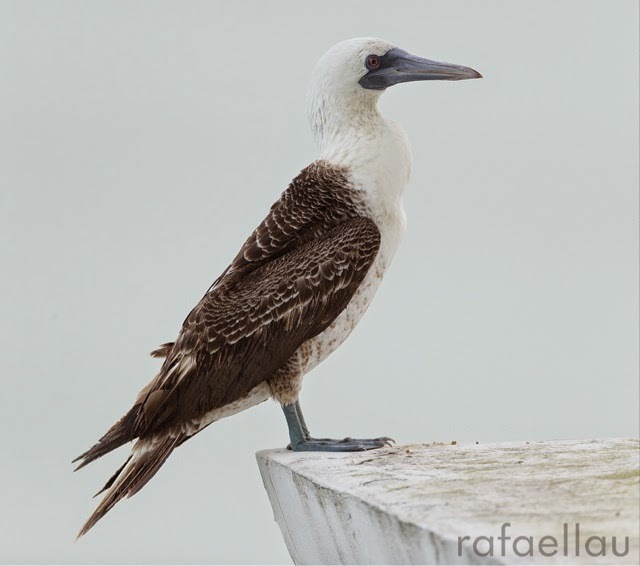 Now the booby leaves every morning at 8:30 am and comes back at 5:00 pm to stay the whole night there. As the first report, she is not willing to let more people get into her apartment, very understandable. These picture where taken today, august 5 at 5:30 pm.